During Bastille Day celebrations, considered France’s Independence Day, a terrorist who used a hired lorry killed at least 84 people and injured more than 200 persons on July 15, 2016 in a rampage in the French city of Nice. The attack ended when police shot into the truck, killing the driver. The authorities identified the truck driver as Mohamed Lahouaiej Bouhlel, a French national of Tunisian origin. A huge cache of guns, grenades and larger weapons and the terrorist’s identity papers were later found inside the lorry. Western media reported that a poster apparently created by the Islamic State group (Also known as Daesh, ISIS, ISIL) supporters have been celebrating the attack, orchestrated to coincide with France’s most important national holiday—is being shared on Twitter. Like the previous terror attacks in Europe and the US, including some other countries, this new one in Nice is also a false flag operation, arranged by some state actors and their intelligence agencies in order to achieve secret aims. Various acts of terrorism show that without taking cognizance of the related-developments in the world, the general masses of a country and even some educated persons start blaming all the Muslims and the ISIS in this respect. Therefore, we need to go in-depth analysis to know who is behind the carnage in Nice. In these terms, as part of the secret strategy of some states, double game and false flag operations are interrelated. As regards terrorism, Machiavelli advises the rulers to have a lion-like image outwardly, and act upon the traits of goat inwardly. He also suggests them foreign adventures and the use of terror to obtain their goals. In his sense, a good ruler should be a good opportunist and hypocrite. While echoing Machiavelli, Morgenthau points out that sometimes, rulers act upon immoral activities like deceit, fraud, falsehood and even murder to fulfill their selfish aims. If the double game of President Bush (The Senior) and George W. Bush franchised Al-Qaeda on global level, President Obama’s dual policy franchised both Al-Qaeda and ISIS as part of the anti-Muslim campaign and left no stone unturned in advancing the agenda of the Zionists, Israeli lobbies and the neoconservatives in the pretext of global war on terror. Secretly, President Obama authorized CIA to create ISIS. His perennial covert support to the Israeli atrocities on the Palestinians, silence over the supply (Smuggling) of oil by ISIS to some European countries whose governments have also not taken action against those companies which were exporting oil from the ISIS-controlled regions of Iraq, CIA-assisted Al-Qaeda (Al-Nusra Front), ISIS militants and rebel groups who are fighting to oust Syrian President Assad’s government to obtain the aims of a greater Israel are part of the double game. When Russian-led coalition of Iran, Iraq, the Syrian army-the National Defense Forces (NDF) and Lebanon-based Hezbollah had broken the backbone of the Mossad-CIA-backed ISIS terrorists, Al-Qaeda’s Al-Nusra Front and the rebels in Syria and Iraq. Israeli Mossad which was already having clandestine contact with the ISIS directed this outfit to plan the November 13 terror attacks in Paris in connivance with the French home-grown militants. Similarly, Mossad used the ISIL terrorists who conducted terror assaults in Brussels on March 22, 2016. After the false flag operations of Paris and Brussels, including the shooting at San Bernardino, California, Israel achieved its several sinister designs. Like the drastic aftermath of 9/11 tragedy, rulers and politicians of the US-led Western countries, especially of Europe, including their media have been misguiding their general public by creating chauvinism against the Muslims. They are propagating the so-called threat of Islamophobia. In one way or the other, the Muslims are being persecuted in the US and other Western countries, particularly in Europe which has been put on high alert, as these subversive acts were being taken as attacks on the whole continent. Owing to the irresponsible approach of Western leaders, right-wing parties and “Stop Islam” movement in the West, especially in Europe are becoming popular by largely attracting their people. Besides, Muslims in the continent are facing severe backlash in form of attacks on them and threats (In some countries) in wake of anti-Muslim protests. Without caring for human rights, several Muslim refugees have been expelled from various European countries. Besides, like France and Belgium, by ignoring Israeli protest, some EU member states were considering to officially recognize the a state of Palestine and the EU pressure was growing on Tel Aviv to restart a negotiation process for the two-state solution of the Israeli-Palestinian dispute. Meanwhile, Russian-supported Assad’s forces have retaken several territories from the control of the rebels and the ISIS terrorists who are on flee in Syria and Iraq. Notably, Israel, India and Zionist lobbies which are clandestinely assisting America’s anti-Muslim, pro-Israeli, pro-Indian and anti-Pakistani Donald J. Trump, the presumptive Republican presidential nominee want to see him as the president of the United States. Trump who is well-known for his anti-Muslim rhetoric not only exploited the terror assaults of Paris and Brussels, but also the shooting at the gay night club in Orlando, Florida which killed at least 50 persons. In an interview with Brazilian TV on June 14, 2016, the ex-wife of the Orlando shooter Omar Mateen Sitora Yusufiy disclosed that American FBI pressurized her to keep quiet about his homosexuality. Since the attack, Mateen has been dubbed an Islamic terrorist by the politicians, senior officials and commentators in the US, following reports he had pledged allegiance to the Islamic State group, as they wanted to downplay the personal and self-hating nature of the assault. It is of particular attention that when acts of terrorism occur in the Islamic countries, Western media and rulers do not give much importance. Pakistan has faced several terrorism-related incidents which have killed thousands of the innocent civilians since 9/11 catastrophe. But, Western media have given little coverage to any terror-incident of Pakistan. On July 2, this year, the double game of the US-led India exposed a false flag operation when the militants attacked on the Holey Artisan Bakery (Restaurant) in the diplomatic district of Dhaka and killed at least 20 hostages and two police officers, which includes most of the foreigners. ISIL claimed responsibility for terror attack on the restaurant. But, without any investigation, Home Minister of Bangladesh Asaduzzaman Khan accused Pakistan’s Inter-Services Intelligence (ISI) of the restaurant assault by adding, “There is no IS or al-Qaeda presence in Bangladesh. His statement was contrary to the country’s top officials who have claimed that ISIL exists in Bangladesh. On July 7, 2016, terrorists killed two policemen and a woman in an attack at Eid congregation in Kishoreganj, Bangladesh. The incident came, a day after the ISIL video on social media in which, three Bangladeshi youths appeared, threatening more attacks in the country. It also proves that Bangladesh’s home-grown militants have connections with the ISIL. Availing the opportunity of the Dhaka restaurant attack, Indian media also began a campaign, accusing ISI. Indian secret agency RAW which is in collaboration with Bangladesh’s intelligence agencies and has been using the ISIL terrorists is behind the Dhaka restaurant attack to distort Pakistan’s image and ISI. It is noteworthy that irresponsible approach of the US-led entities as well as double game of Turkey and Saudi Arabia has made the ISIL, the most dangerous militant outfit which has rapidly spread its tentacles in the US, Afghanistan, Bangladesh, the Middle East and Africa. Apart from previous terror assaults in Turkey, Syria, Lebanon, Jakarta etc., ISIL is behind the recent bombings in Saudi Arabia, Turkey, Yemen and Iraq. It is also of particular attention that since the fundamentalist party BJP led by the Indian Prime Minister Narindra Modi came to power in India, it has been implementing anti-Muslim and anti-Pakistan agenda. India which has strategic partnership with Israel has perennially been manipulating the double game of the US-led West regarding world phenomena of terrorism in connection with Pakistan and Afghanistan, while exploiting their anti-Muslim approach to obtain Indo-Israeli clandestine designs. Both Tel Aviv and New Delhi have been equating the ‘wars of liberation’ in Palestine and Kashmir with terrorism. Their main purpose is to divert the attention of the West from their own atrocities, while employing delaying tactics in the solution of these issues. 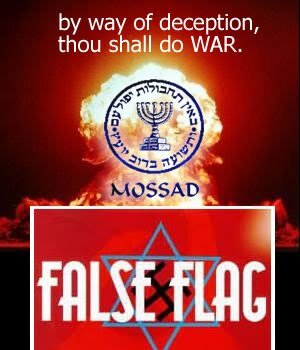 Nevertheless, there is a co-relationship of the double game and false flag operations, being conducted in the US, Europe, the Middle East, Afghanistan and elsewhere in the world. In this connection, on January 13, 2015, at least seven personnel of the Afghan security forces died during the suicide attack which targeted the Pakistani consulate in Jalalabad. The ISIL claimed responsibility for the terror assault which coincided with efforts to restart the suspended peace process with Taliban insurgents. Pakistani sources suggested that Indian RAW was behind this terror attack to thwart these peace talks. On May 21, 2016, the CIA-operated drone strike killed the Chief of the Afghan Taliban Mullah Akhtar Mansour in Nushki, Balochistan province of Pakistan. After the incident, Afghan Taliban leaders refused to participate in the US-sponsored talks with the Afghan government. While, in the recent past, with the help of Pakistan, a series of meetings were held in Islamabad and Kabul among the representatives of Pakistan, Afghanistan, China and the US to develop an understanding for the earliest possible resumption of stalled talks between the Afghan government and the Taliban with a view to ending nearly 15 years of bloodshed in Afghanistan. It shows that America is playing double game with Islamabad. Undoubtedly, secret agents of CIA, Mossad and RAW which are well-penetrated in the ISIS, the Tehreek-i-Taliban Pakistan (TTP) are using the militants of these terrorist outfits to destabilize Tibetan regions of China, Iranian Sistan-Baluchistan, Pakistan’s province of Balochistan and Central Asia. In this regard, the China-Pakistan Economic Corridor (CPEC) is their special target. It is worth-mentioning that the US-led West, especially Europe has already started a new Cold War with Russia. The US has decided to station permanently additional troops in Eastern Europe as part of NATO move to defend the continent against the presumed threat of Moscow. In response, Moscow also responded that it would send 30,000 Russian troops along its western and southern borders. Although Cold War has revived between the US-led West and Russia, yet some recent developments have disheartened the Zionist-Israeli-led America. In wake of the British decision to leave the EU, it will be much difficult for the European politicians to discourage the general population, which is fed up with business as usual inside the EU. Notably, recent violent protests against the labour laws in France might be cited as instance, though the same were not related to the EU, but displayed peoples’ anger in relation to economic policies—the divide between the elite class which run multinational companies with the direct or indirect control of the Jews and the general masses who are suffering from multiple problems. Sooner or later, other EU countries which do not want to continue integration of their states to the European Union could also demand a similar referendum like that of the UK. People in France, Denmark, Italy, the Netherlands, Hungary, Poland and Austria are reluctant to maintain alignment of their countries with the European Union in wake of differences on the refugee crisis, Syrian war, Greece’s weak economy etc. Therefore, the European Union may disintegrate, giving a greater setback to the US-Europe alliance against Russia. And more than 14 years have passed and the US-led NATO forces have been facing defeatism in Afghanistan. The ambush attacks on their military installations and personnel by the Afghan freedom fighters have continued, particularly, targeting American bases, check posts and armed persons. Especially, the US military personnel have been demoralized, as they are well-aware of the facts that they have been sent abroad—Afghanistan, Syria and elsewhere in the world to maintain the supremacy of Israel, instead of protecting American national interests. The cost of the endless war is rapidly increasing, adding to the plight of ordinary citizens of the US and its Western allies. However, it is owing to the dual strategy of the US-led India, Israel and some Western countries that RAW, CIA and Mossad are conducting false flag operations also to divert the attention of American and Western public from multi-faceted internal problems, which are the result of prolonged war in Afghanistan and elsewhere in the world. A rift could be created between the NATO countries, which will give benefit to Russia, quite contrary to the Israeli secret interests. Meanwhile, a Turkish military group claimed on July 15, this year that it had taken control of Turkey’s government, but, on July 16, Turkish Prime Minister Binali Yildirim stated that the alleged coup attempt had been foiled. Almost 200 people, including dozens of coup backers were killed and 2,839 military personnel were arrested, as pro-Erdogan forces said. Analysts opine that the rebellion was owing to the double game and flawed policies of Erdogan in relation to Syria and ISIL. By neglecting American pressure, Erdogan who has taken steps in the end of June, this year to improve relations with Russia to strengthen its hand in fighting against militants, said the attack at the Istanbul airport should serve as a turning point in the global battle against terrorism. Reports suggest that Ankara is also considering a military agreement with Moscow. Besides, by following the US double game, Syrian rebel groups on April 12, 2016 launched a major offensive on positions of the ISIS in Syria’s northern province of Aleppo. In order to show to the international community and Western public that America is fighting against the ISIS terrorists, US has accelerated air strikes on the ISIS-controlled regions. As per CIA directions, in Aleppo city, shell and mortar attacks by the Al-Nusra Front, ISIS and the rebel groups have continued on the Kurdish neighborhood of Sheikh Maqsoud. ISIS has also continued firing rockets across the border into the Turkish town of Kilis. In the pretext, the Turkish military is retaliating with shell fire. Recently, on June 26, 2016, Russian-backed Iraqi forces have recaptured the city of Fallujah. Following dual strategy, Pentagon welcomed the retaken of Fallujah, and the US Secretary of State John Kerry has offered Moscow to fight the ISIS terrorists jointly, in case Russia stops targeting the Syrian rebel groups. Nevertheless, it is due to skillful diplomacy of the President Putin that very soon, Syria will be liberated from the hold of the Israeli-led Western powers. Now, the scenario in Syria shows that the CIA-prepared plan-B of Syria’s partition will also fail. Even, CIA-Mossad scheme to promote sectarian violence in Islamic World on larger scale, after creating a rift between Saudi Arabia and Iran could not succeed, as after the recent bombings in Saudi Arabia, Saudi people have started thinking about the double game of America and Israel, though Riyadh is also supporting the ISIL (The Sunni group) against the Syrian government and Yemen. Obama Administration was pressing Israeli Prime Minister Netanyahu to agree for the two-state solution of the Israeli-Palestinian dispute. A majority of the intellectuals and analysts of the West have also been emphasizing upon the settlement of this issue. Even, non-Zionist Jews have started favouring the two-state solution of the Israeli-Palestinian dispute. Although the presidential nominee of the Democrats Hillary Clinton is also Israeli agent, yet her criticism about contributions of election-campaign from Wall Street backers, email-scandal etc. have weakened her position. Therefore, Donald Trump best suits the interests of Tel Aviv. In an interview with the Daily Mail on May 2, 2016, Trump stated that Israel should continue construction of illegal settlements across the occupied West Bank. Trump is also against the two-state solution of the Israeli-Palestinian issue. It is mentionable that France was just preparing to lift its state of emergency which was put into place in the wake of the November terror attacks in Paris, and it would have expired later this month, but Prime Minister Manuel Valls said on July 15, this year that a bill to extend it would be submitted to parliament by July 16. French investigating agencies disclosed that driver Bouhlel’s wife is in police custody, as officers question her about his alleged Islamist links. Bouhlel was reportedly not on a terrorist watch list and investigators are seeking to establish his motive—and are also looking for possible accomplices. Investigating sources also said that Bouhlel’s last appearance in a criminal court was as recently as March, when he was found guilty of violent contact. They added that despite this, he had no known links with terrorism and was not under surveillance—was an ‘unlikely jihadist’ who flouted every rule of Islam. Nonetheless, it is owing to the above mentioned developments—the secret strategy of the US and Israel whose intelligence agencies CIA and Mossad have used the ISIL terrorists to conduct the deadliest terror attack in Nice. Most probably, by availing the vicious circle of terrorism, Mossad might have alone arranged this mass murder due to differences among the EU countries, refugee crisis and to fortify the US alliance with the Western countries, particularly Europe against Russia, to divert the attention of American public from internal problems, prolonged war on terror etc., and especially to avoid the solution of the Israeli-Palestinian issue and to ensure the success of Donald Trump in the US presidential elections of November. In fact, fault cannot be laid on the general masses, a majority of whom are swayed by emotions, stereotypes and prejudices created by the political leaders who keep on manipulating any crisis for their own self-interests with the sole aim of getting their sympathies to increase their vote bank. There are equal strong pressures from religious and nationalist forces in wake of global war on terror which is dividing the world on religious lines. Therefore, instead of misguiding the people by creating phobia of Islam, the rulers and media of the US-led West and peace-loving people of every religious community, including Jews must show realistic approach for the peace of entire world. 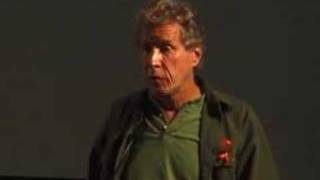 Otherwise, double game and false flag operations which are interrelated will continue culminating into “clash of civilizations”, as predicted by Huntington. Definitions: The contemporary term false flag describes covert operations that are designed to deceive in such a way that the operations appear as though they are being carried out by entities, groups, or nations other than those who actually planned and executed them. Kashmiris will lose their lives at the hands of Indian forces. International as well domestic Indian media. Undoubtedly, Burhan Wani was a great voice for freedom of the Indian-occupied Kashmir. Hence, the planned killing of Burhan Wani triggered protest throughout the valley. rather the vested interest of Western governments to remain mute just to please India. on Kashmir issue and a blanket to hide state sponsored atrocities on innocent people of Kashmir. will be decided through the political democratic method of free and impartial plebiscite. Kashmir issue, international community must stand with people of the Indian-held Kashmir. and Kashmir is no exception. people, and arbitrarily arrest of any individual for an indefinite period. Kashmir where arrested Kashmiri leaders and the youth are subjected to severe torture. Kashmiris to continue their struggle against the occupying forces of India. from his wrapped-in-mystery heart surgery. going through the same motions afterwards? word, by Ardeshir Cowasjee’s old newspaper of record no less. something fishy in this too. Paranoia has no easy remedies. the clouds of Panamagate will disperse. tunes of the ruling family. sympathisers point the finger of blame at the army. in 2014 he would have become permanent martyr of democracy. days. Yet they blame the army. happens the Noonies won’t believe their luck. For about fifty years now, the weapon of choice for the world’s primary power, to bring lesser states to heel, is through economic war. And within economic war, the chief weapon of use is that of economic Hit Men, and the overt use of the army to invade countries is the weapon of the last resort. The chief ally of the hit men in the country to be subverted is the corrupt leadership of that country. And the methodology used by the hit men is basically to encourage the leadership of the target country to over-spend on large projects, mostly infra-structure; and get this country under debt to the extent, where it no longer has the capacity to repay the same. This is the time at which the principal power which has either advanced the major portion of the loans, or facilitated the same, has many options open to it to demand its pound of flesh. Many countries in the world, at one time or another, have been subverted in this manner. This is exactly where Pakistan will be standing in two years from today when the repayment of our loans becomes due, without us having the means to repay the same. This is not a matter of speculation. It is purely a mathematical equation. We know how much we will have to pay back; we can also calculate from available figures, Pakistan’s capacity to pay back. According to most projections, the earnings of the country will fall short of the payments due. In other words Pakistan will be bankrupt. We should be under no illusion that when Pakistan cannot repay its loans, it will not be treated kindly by the creditors. It can quite easily be predicted, what Pakistan will then be forced to give in to the demands of the creditors, or face economic sanctions, which it will not be able to withstand for more than six months to a year. a. Our nuclear assets. If the U.S and some of its allies could contemplate going to war against Iran, whose bomb lay some years in the future, it will be a fool who thinks that our nuclear assets and capacity will not be the first target of our creditors. b. The second target will be our China corridor. The pivot to China is the most momentous shift in U.S defense policy since WW2, whereby priority has been shifted from the defense of Europe to the containment of China. The China corridor will serve to loosen the noose around China’s neck. If any one thinks that Pakistan will be allowed to do this, he must be stupid. And if any one else thinks that China will go to war with the U.S over CPEC, he should consider himself twice as stupid. c. Baluchistan, will be severed from Pakistan. The reasons for this are many, but the primary reason is that India has to be built up as a credible counter weight to China. This cannot happen till such time Pakistan has the capacity to keep India distracted from the role crafted for it. So it will suit the powers that be, that Pakistan be left a rump state. Our political leadership is not bothered about this scenario, because it is a willing tool of the economic hit men in partnership with whom Pakistan is being pushed to the edge. The real tragedy however is that our Generals, the only ones with the capacity to save us from our fate, are adamantly refusing to see the end game. What makes this tragedy greater is that our Generals are failing to appreciate this not because they they do not have it in their heads to do so, but because their hearts seem to have given way when the heart was most needed. For eight years now they have seen death gather at the gates of their country, and having the power to move on behalf of their country, they have preferred to take the veil. 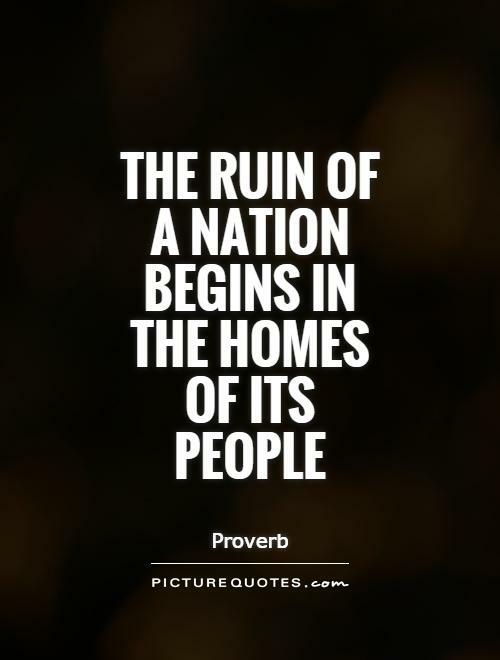 They have allowed their country to resemble a badly managed brothel, rather than move and cut short its agony and disgrace. 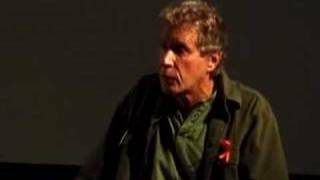 I am posting a talk by John Perkins in three parts. I urge you all to see it. 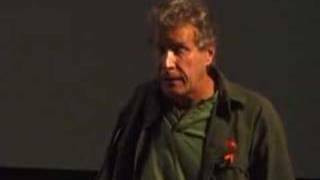 But those of you who may be averse to seeing long video talks, should at the very least try and see the first link from minute 5.30 to minute 8.30—just three minutes. And for God’s sake, instead of diffusing your energies in all directions, ask about our national debt and its implications–ask every General in uniform that you know. Ask because it is teetering at the edge, and for us there is no tomorrow. 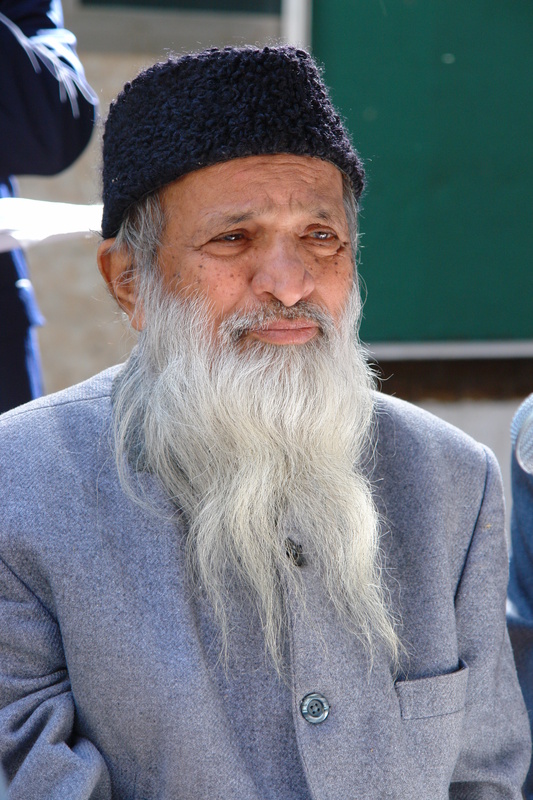 Edhi Foundation runs the world’s largest ambulance service and operates free nursing homes, orphanages, clinics, women’s shelters, and rehab centers for drug addicts and mentally ill individuals.Edhi is a social activist and spending all his life to helping other people. Since 1997, organization has held the Guinness record for world largest volunteer ambulance organization.